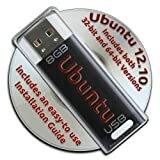 Ubuntu Linux 12.10 Bootable 8GB USB Flash Drive and DVD set - 32-bit and 64-bit. 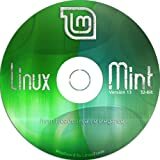 The preinstalled USB stick allows you to boot and load Linux without touching anything on your existing Windows! Comes with BOTH the 32-bit and 64-bit versions installed! Now, you can always have your own customized Ubuntu installation ready to use, on ANY PC! 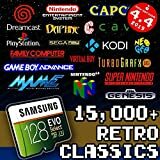 BOTH 32-bit and 64-bit versions on ONE USB drive!